"This generation speaks their own language. No one can speak it better than they can - so we let them do the talking." Two hundred million social media impressions, 500 media hits, and a rap video starring Michelle Obama. That’s what happens when you partner with the White House – and that’s in just the first two months of a campaign. That kind of grand, buzzy entrance is what’s necessary to capture the attention of Generation Z, the next generation following the constantly talked-about Millennials. Gen Z is the world’s most educated, connected, and altruistic generation and is making decisions about its education, careers, and lives, which means they need a reason to see college as something that will help them reach their goals. That is why, as part of her Reach Higher initiative, the first lady launched Better Make Room, a public awareness campaign that celebrates education and gives Gen Z a space to share their story while navigating the college process. Understanding that Gen Z tends to ignore traditional campaigns, we knew we needed to be innovative – so we partnered with The Black Sheep Agency, a cause-driven brand strategy firm in Houston, Texas, to create a campaign that would put students in the driver’s seat. "You can’t talk to these young people and adults at the same time," says Aimee Woodall, president of The Black Sheep Agency. "This generation speaks their own language. No one can speak it better than they can – so we let them do the talking." The effort engages students with powerful photography, bold statements, and user-generated content, forming a campaign that gains momentum with every tweet. Since the campaign’s launch, we have seen more than 14,000 students make commitments toward their future through BetterMakeRoom.org and, because Gen Z enjoys being a part of the story, we partnered with American Eagle, where students saw their college commitments projected onto an electronic billboard in Times Square, New York. To top it off, knowing that a certain percentage of students spend time watching YouTube and online videos rather than TV, we partnered with Vine and Awesomeness TV and invited their Web stars to the White House to capture Gen Z’s attention during the launch. We also reached out to students on their preferred platforms: Twitter, Instagram, Vine, and YouTube. The effort celebrates students and elevates their stories, bravery, and hard work. Better Make Room knows that students reaching toward higher education deserve praise and aims to highlight the possibility of a better education, career, and future. 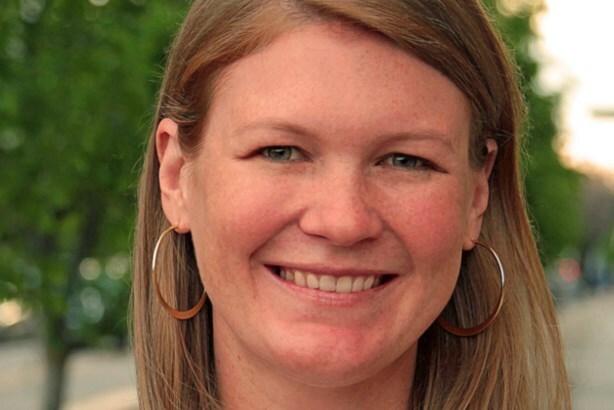 Jenn Brown is executive director of Civic Nation.